Wow the acting is so bad. 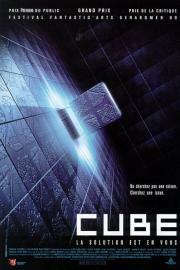 Cube is without a doubt hampered by its minimal budget. Not to mention a script with one too many cliches. That being said, the movie is thrilling, small, scary at times, well acted and unique. At least it was until Saw was released. For a low budget horror film, this movie shines as a brilliant indie experience.